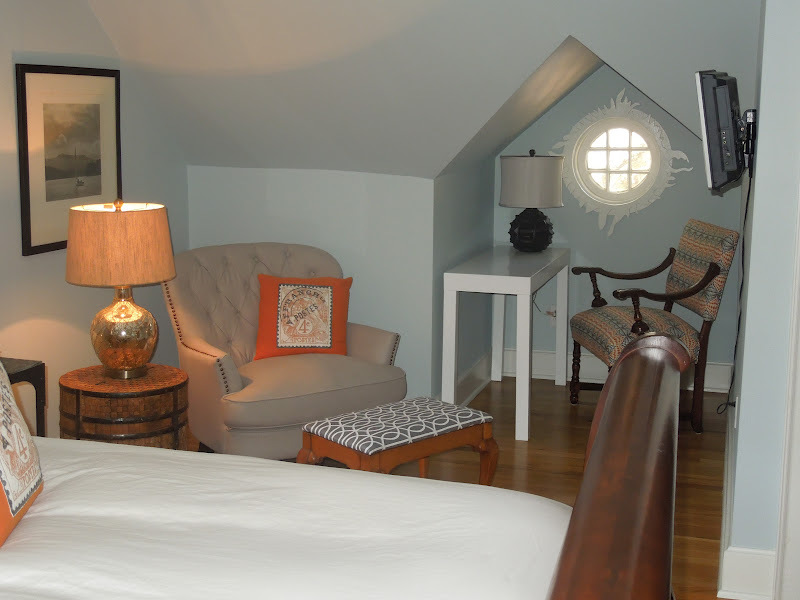 We added custom drapes, reclaimed wood side tables, and moved their wrought iron sconces from their "old" bedroom. I love the reclaimed door to the closet. We recovered a foot stool with Dwell Studio gate fabric and added a linen chair so she could have a reading nook. 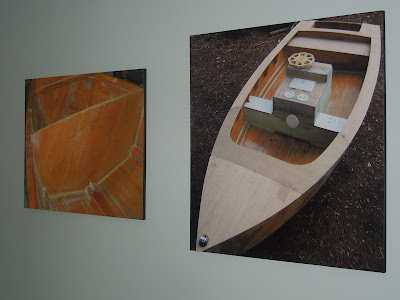 Did I mention my client's husband is a master craftsman as a hobby and not only does amazing wood-working projects around the house, but built this beautiful boat? The images were so cool, that we blew them up and mounted them on the wall. Port City Signs did a beautiful job! Take note of the desk area... we recovered a family heirloom chair and her hubby framed the small window with a cool design that brings even more personality to a small space. Beautiful job. I loved it all so much! I especially like the closet door.